Brad Shaw, a graduate of the Kansas City Art Institute, is considered a “Renaissance Man” in the theater world. 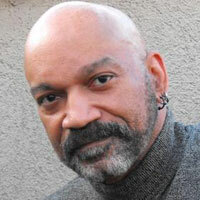 His name can be found on programs as actor, director, choreographer, costumer, set designer, and playwright. Brad has taught in the Kansas City Public Schools and in surrounding school districts. He was also an integral part of the building and opening of the Gem Theater at 18th and Vine where he wrote and produced the musical 18th and Vine. Brad has worked with the Theater League to produce a professional partnership with Paseo High School and his teaching experience includes acting, improvisation, costuming, puppetry, creative writing, and storytelling. Brad received the Lighton Prize for Excellence as Teaching Artist from Kansas City Young Audiences in 2004.